Wow. 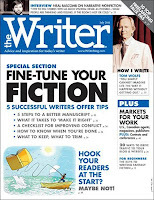 I have not one, but two articles in the current issues of The Writer. Have you picked up your copies of the June and July issues yet? Get a sneak peak of the table of contents below, beneath the descriptions of my latest articles. "Bypass obstacles to traditional publishing"
Self-publishing is increasingly offering ways to proactively take control of your writing. 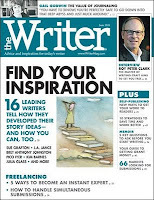 In this article, I interview authors Betsy Warland, Tung-Hui Hu, Becky Wolsk, and Richard Nash. "Find new readers by presenting at conferences"
Where to look for speaking opportunities, and how to pitch the show organizers. In this piece, I interview Dr. Susan L. Roberson, Carol Dorf, and Loreen Niewenhuis. 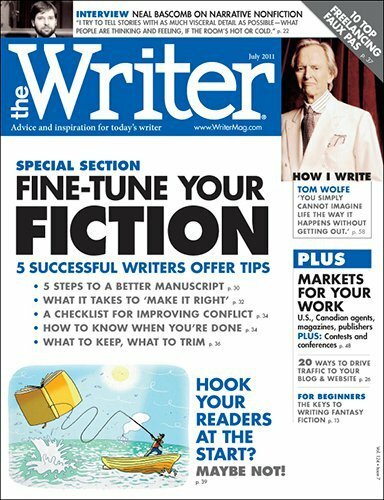 If you’re not a subscriber to The Writer, you can pick up a copy at your local bookshop. Or, go on, cave in and be a regular. 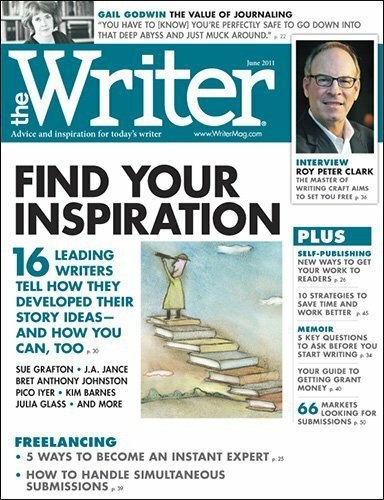 Subscribe to The Writer here. Happy reading!